← how may I direct your call? In the last month, two strange packages have arrived at my house from Amazon; two vinyl records that my husband has taken to ordering for the vinyl record player that we do not yet possess. He has become very interested in vinyl records lately, which makes me wonder what ever happened to all the records we used to have, back when I was a kid. Probably they were all sold in yard sales or whatnot, since who played records by the 1990s? Certainly not me. As a child, I remember going through my parents’ record collection; I still have a soft spot for Kenny Rogers and Creedence Clearwater Revival. In fact, my party trick is that I know all the lyrics to every Kenny Rogers song ever – even the less-popular ones like Ruby Don’t Take Your Love To Town and She Believes In Me. I remember looking curiously at the album covers of the hirsute CCR, which was starting to be an outdated look even then. I had a lot of those little books that came with records to read along with. I can still hear the voice at the beginning: You can read along with me in your book. You know it’s time to turn the page when you hear this bell, like this…ding! Once I graduated from those records, I had a couple of LP’s that were pretty hip for a six-to-eight-year-old: the Mini-Pops and Disco Duck. 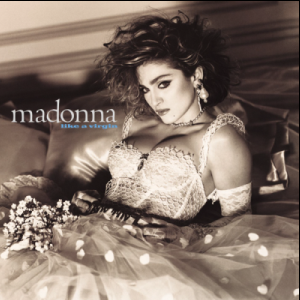 It was when I was nine that I got my first REAL record, and that was – inappropriately enough – Like A Virgin by Madonna. I remember looking at the album cover and thinking how beautiful she was, with her Boy Toy belt buckle and frothy dress. I began wearing a ton of rubber and friendship bracelets, as well as the occasional hair bow, in an attempt to emulate that look. The second album I ever owned – and because of the event of cassette tapes, it was one of the last – was Corey Hart’s Boy in the Box. I wrote letters to the Corey Hart Fan Club, and for my trouble I received a photocopied letter that said that even though it was photocopied, it really WAS Corey writing it. Swoon. Well. Time went on and instead of vinyl albums I saved my money to buy cassette tapes instead. They were so much more convenient, as I could use them in my Walkman on the way to school. By the time I was fourteen, though, it became hilariously “retro trendy” to buy vinyl again, at used record stores. I even had a boyfriend working at one such store, and he would alert me to any Beatles albums that arrived. While my peers were embracing the New Kids on the Block, I was excited at my purchase of an old copy of The Wall. I read and memorized all the lyrics again, although I found them – along with the illustrations on the liner – disturbing and frankly, I didn’t even really like Pink Floyd. However, it looked cool with my copy of Abbey Road. To this day, I change the channel on the radio when I hear Another Brick in the Wall. No really, I think you *do* need education, sir. And just like clothing fashions, it appears that vinyl is back in style. I wonder if you can still skip songs by counting the grooves on the record, or if the needle still bounces back and forth when the record is finished. Now, if only my parents still had those Kenny Rogers and Juice Newton records. Posted on March 17, 2016 by throwbackthree	• This entry was posted in music, technology, teenage angst, Uncategorized and tagged Nicole. Bookmark the permalink. 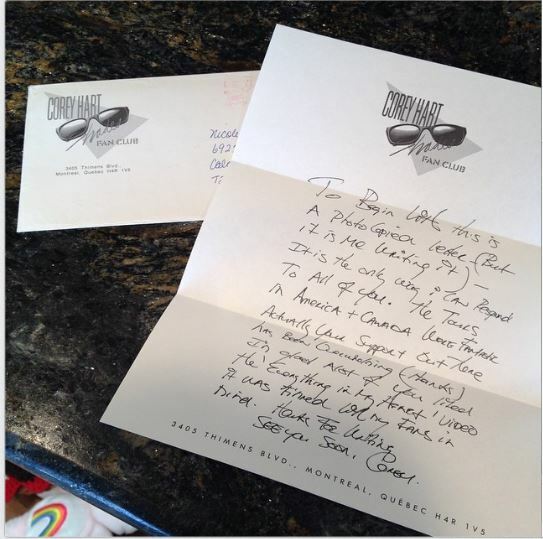 I used to get Corey Hart fan club letters, too. His handwriting was printing in turquoise ink, which was my favourite colour. I have the same affinity for Kenny Rogers and can sing Ruby Don’t Take Your Love To Town and She Believes In Me acapela. Although I HATE all other country music. I got Kenny’s greatest hits album (on vinyl!) 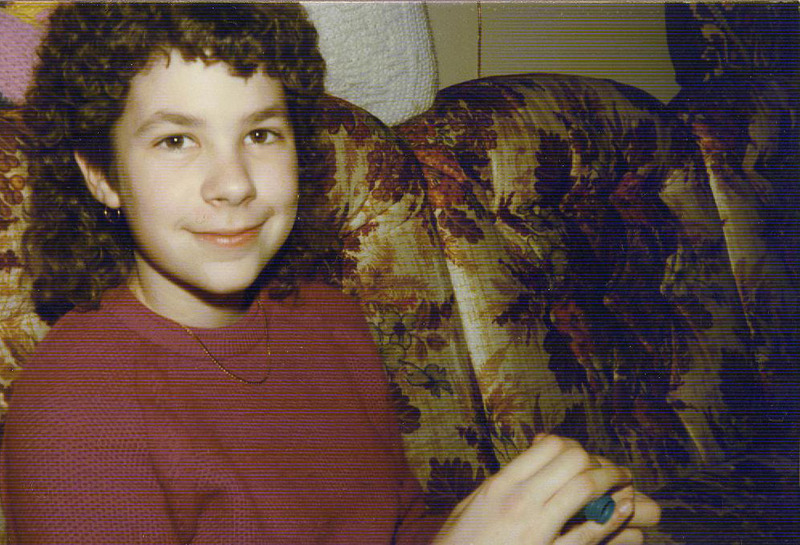 for Christmas one year – I was maybe 10 or 11. I learned every song by heart. I just did a YouTube test and sad to say, I missed several lines in Ruby. Guess I know what I’ll be doing tomorrow – studying up! Bet I could still take on any of Anne Murray, though (had her Greatest HIts, too). There’s an honest to goodness record store that just opened up in a dying mini-mall near me. They have all kinds of classic as well as current titles. It’s just so weird to see such a cool and edgy shop in a mini mall in suburbia. I’m pretty sure they won’t last six months – so guess I better get shopping. 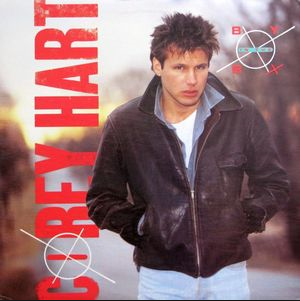 My first concert was Corey Hart! 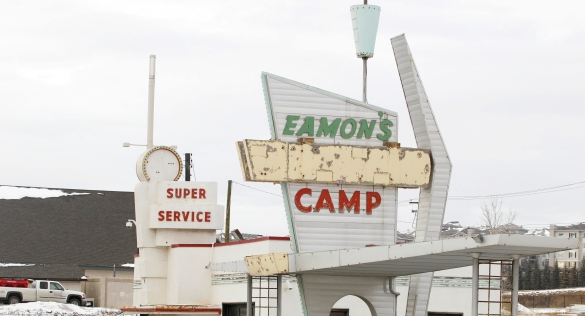 Of course I didn’t recognize Eamons camp in the video at the time! One of my dad’s friends was terribly disappointed that such a popular song split the infinitive. Ha!